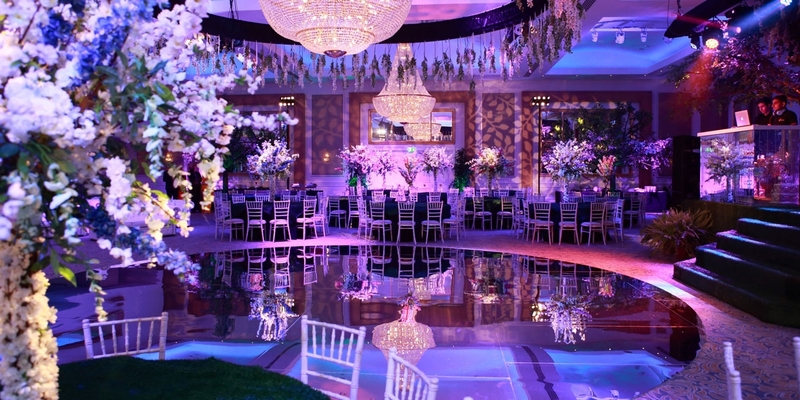 Meridian Grand is a magnificent Hindu wedding venue located in North London and Central London. We are conveniently positioned along the A406, in close proximity to East London and Central London. 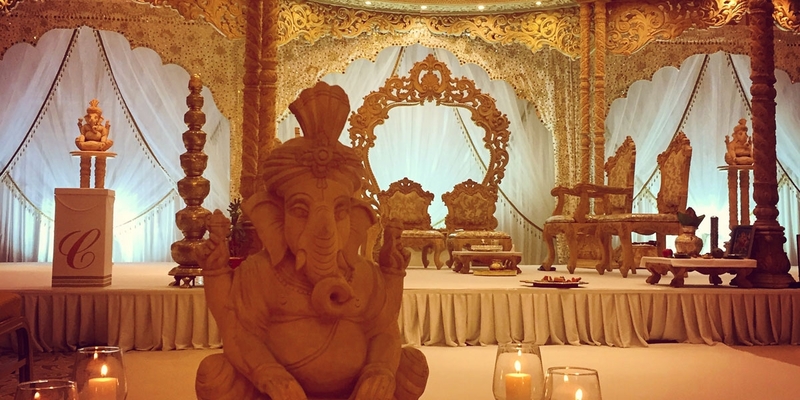 Our beautiful indian wedding venue has two ballrooms that cater for over 8,000 guests. 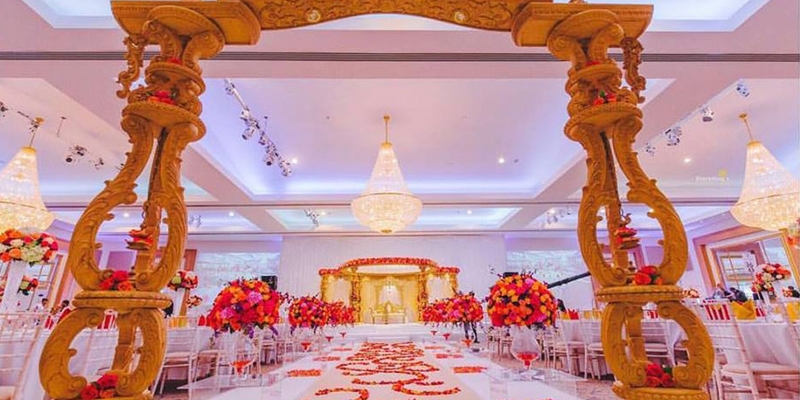 Hindu weddings are a joyous occasion but we understand how the planning involved can sometimes seem overwhelming, with so many factors to consider throughout the entire wedding planning process. At Meridian Grand, our experienced team will eliminate all levels of stress to ensure your wedding day is a huge success. 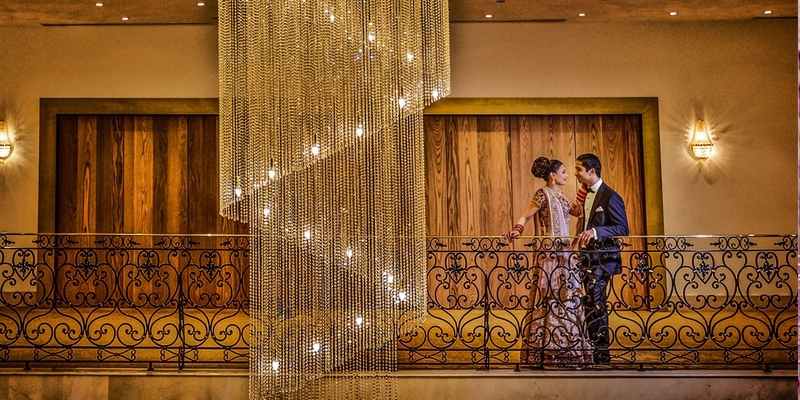 When it comes to choosing a Hindu wedding venue in London, there are many options available to you but none are as luxurious as Meridian Grand. 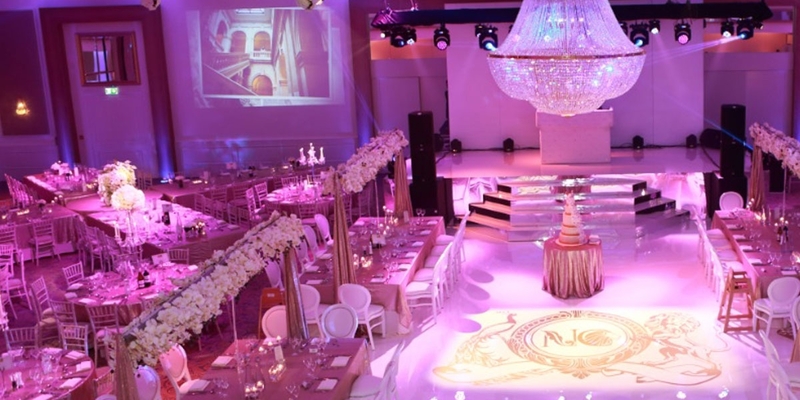 It’s important you select the right wedding venue to make it a memorable day for you and your guests. 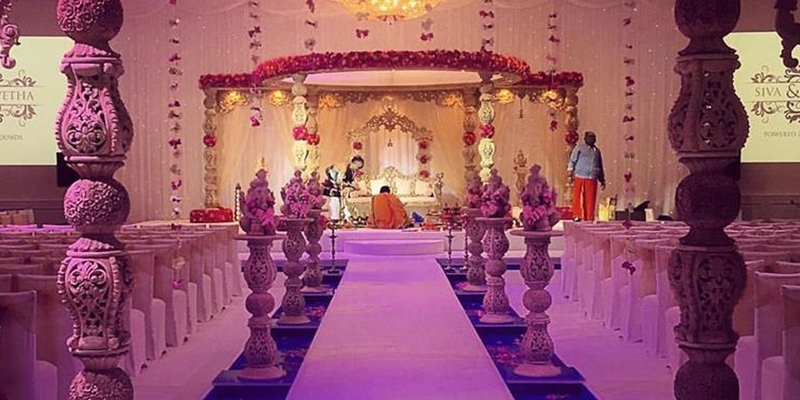 If you intend on having your Hindu Wedding, Civil Ceremony and Reception in one day, our wedding venue is perfectly suited to accommodate your every need. 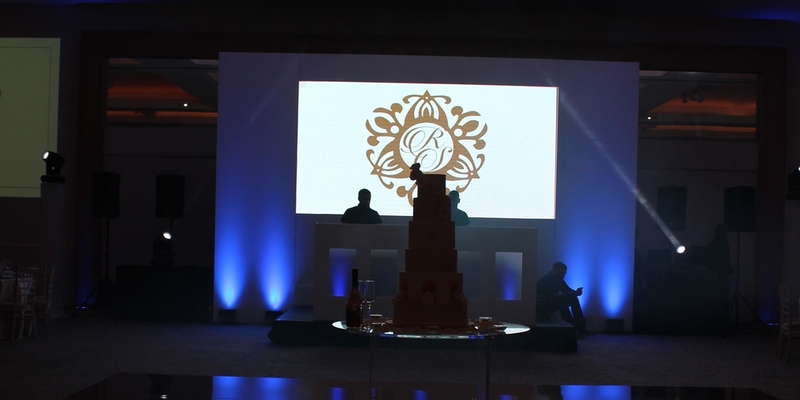 Our team will coordinate proceedings to transform the hall from the religious wedding in the morning to your lavish reception in the afternoon or evening. 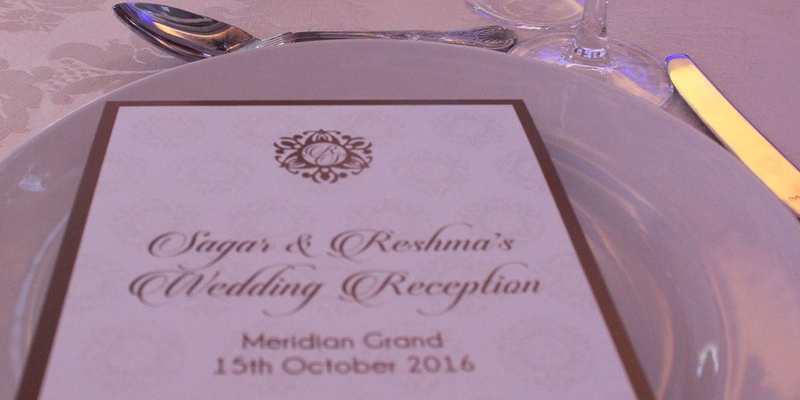 This is one of many reasons that makes Meridian Grand the perfect Hindu wedding venue in London. There are numerous benefits to booking our wedding venue at Meridian Grand. 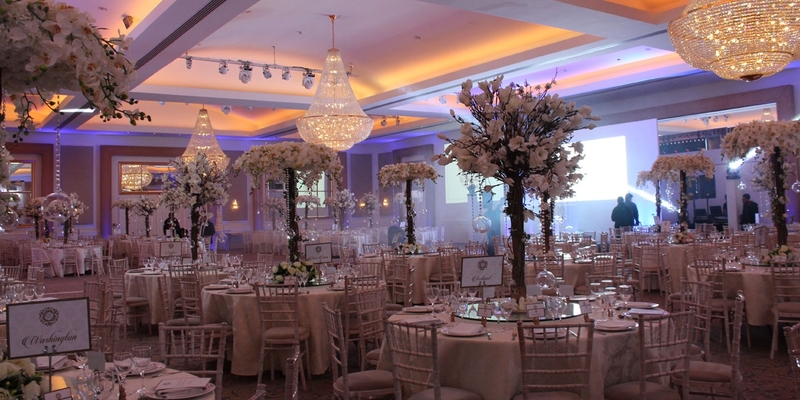 You have the option of choosing between two ballrooms - the Grand Ballroom has a capacity for 700 guests, whilst the Meridian Ballroom can cater for 420 guests. 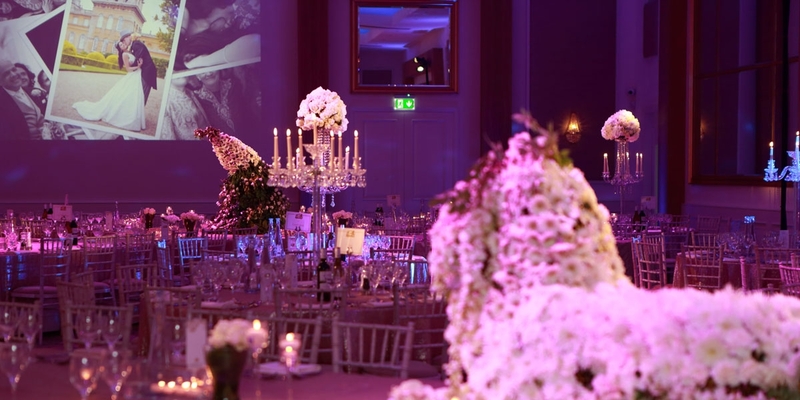 Each ballroom is fitted with beautiful chandeliers, large mirrors, and fully customisable mood lighting, which will set the tone for your Hindu wedding. We also offer VIP bridal suites, allow outdoor catering, and have a large on-site car park. Whilst you prepare your attire for the reception, why not allow your guests to enjoy a drinks reception in our main lobby area. Here, your guests can socialise and enjoy canapes during a drinks reception. You may even decide to hire a string quartet to get your guests in the party mood. They will be taken back by the stunning chandeliers and beautiful double-sided staircase that meets them as they enter the wedding venue. Rest assured, our dedicated staff will be on hard throughout the day to assist with everything you need and ensure you have a memorable day, enjoyed by all family and guests. 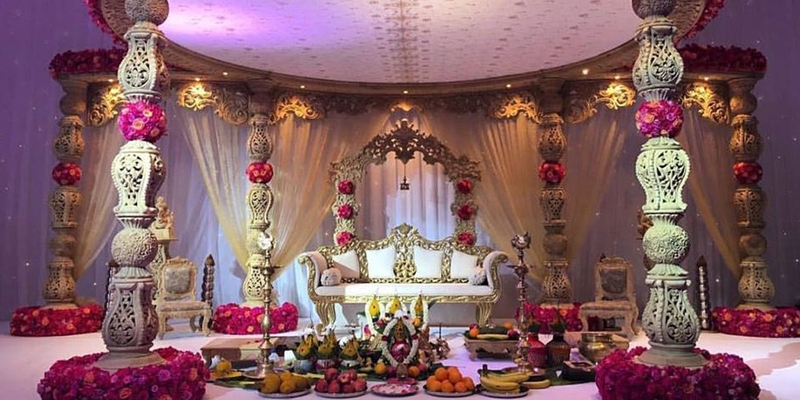 Our Hindu wedding venue is easily accessible for all guests, whether they’re travelling from East London, North London or even outside of London. This is a big bonus when booking Meridian Grand, knowing your guests will have no issues finding our wedding venue in London. 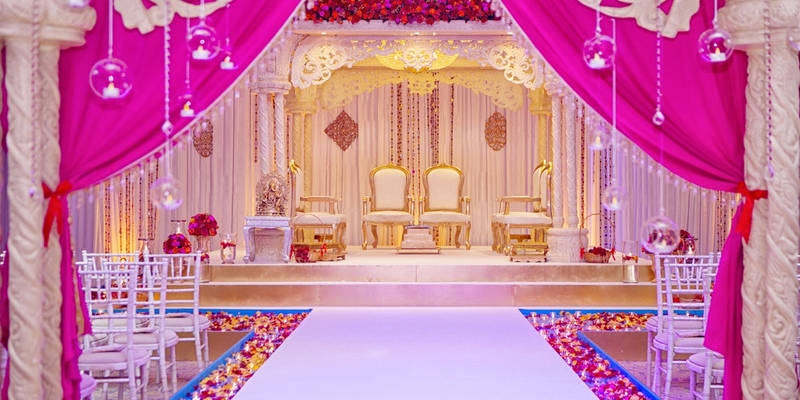 Contact us today to further discuss your Hindu wedding.